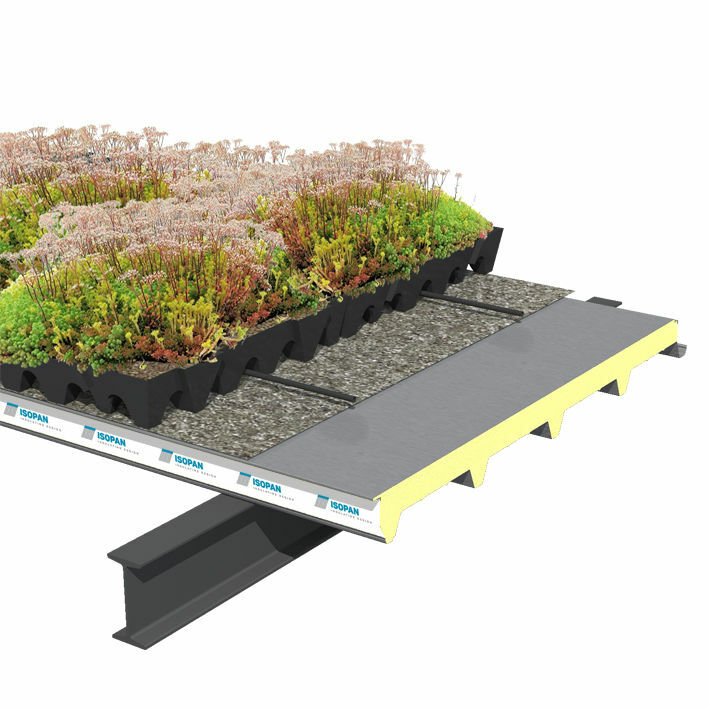 The new ISOPAN system, extensive Green roof, is a modern landscaped roof, made for easy and low cost assembly. It is the perfect solution for flat roofs built with the Isodeck PVSteel panel. This is a system that not only waterproofs your roof, but also gives an added value to your building in terms of aesthetics, energy efficiency and sustainability.